KANBOSK.com provides you the tools to get online fast. Without a domain name (URL or web address), you'd still be able to access and view websites, but only by typing a series of numbers into your browser's address bar (e.g. https://93.174.140.45/). 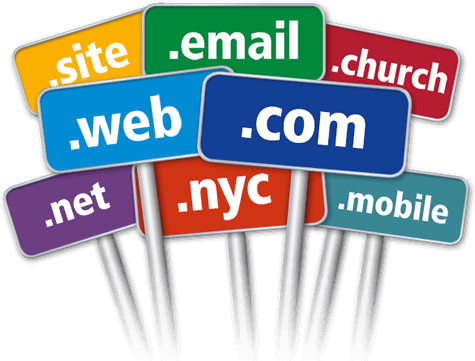 Domain names provide a neat, human-friendly and much more memorable alternative, which is why you'll find it almost impossible to find a website without a domain name 'pointing' to it. Don't risk exposing your confidential details to spammers. Define your nameservers and register your hosts as custom DNS. The domain prices below are generic high street prices. To see how much your domain will cost, enter your domain in the search box above and click search. We are normally cheaper. Whether you have one site or one hundred, you can host and manage all of them from one Kanbosk Web Hosting account. You can build your website yourself with our website builder. With new engine of WYSIWYG you can have fun with building website It’s super easy. Switch between Paper Lantern and 3x cPanel themes or even customise the look of your cPanel. The possibilities are endless. The first thing every business owner needs is a professional email address. After you setup your website, you can create professional branded email addresses. If you have a business where you offer multiple services, you can add unlimited number of parked/add-on domains or create unlimited number of subdomains in your cPanel. We give you access to both the simple and advanced DNS zone editors where you can configure your DNS records. You can always ask us for help should you get stuck.